Kyoshiro's henchmen are beaten up by Sanji and Franky because they wasted food. 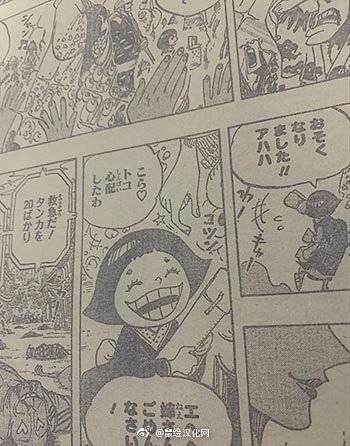 There is an oiran (courtesan) who is a super idol in Wano Kuni. Her name is Komurasaki. Kyoshiro is aware that his subordinates were beaten up, since Kyoshiro himself was summoned to attend Orochi's feast, he asked Queen to send an assassin/assassins. Orochi is determined that today he will make Komurasaki fall for him. - Orochi appears to be a dragon (eastern) but there's only his shadow/silhouette in this chapter. - Robin, Usopp and Franky are in Sangoro's Soba Cart Cook. - All customers in cart cook are woman/okamas. - One of Kyoshiro's henchmen kicks Sangoros' soba pot and other drop a little girl soba bowl. - Sanji kicks one of Kyoshiro's henchmen and Franky attacks other one with a suplex. - Sanji give a new soba bowl to the little girl, she's very happy. After eating it, se left Soba cart cook. - That little girl works for Komurasaki, the Top Idol in Wanokuni. - The Kyoshiro's henchmen that scape from Sanji arrives to Kyoshiro house, and tell him what happend.